April is the perfect time to shop for spring clothing. Discover great discounts on spring apparel as stores prepare for their incoming summer fashion. Also look for this month’s best savings on the final clearance of winter clothing. Spring training season is here. Whether it’s team or individual sports, athletes require sportswear that’s practical and comfortable. At New Balance Factory Store, Nike Clearance Store, and Under Armour Clearance House, you’ll find all types of apparel including base layers, mid layers, polos, t-shirts, tanks, pants, shorts, thermals, hoodies, jackets, and all types of athletic shoes. Celebrate your Easter in style with Easter outfits in spring colors for the whole family. Find adorable clothes for both boys and girls sizes 0 to 16 at The Children’s Place and Gap Factory, while Polo Ralph Lauren Clearance carries sizes 0 to 20 for boys and 0 to 16 for girls. Christopher and Banks, Dressbarn, DXL Men’s Outlet, Francesca’s, Lane Bryant Outlet, Polo Ralph Lauren Clearance, and VF Outlet have your favorite styles for Easter. 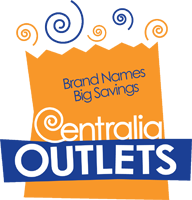 So shed those heavy layers and find a new wardrobe in springtime hues at Centralia Outlets.